Modern, versatile, and practical with style. Vast range of designs from Jacquards, to Prints or Plains, and even Black-out in a pleasing selection of colours, that will bring that touch of style in to any room. Suitable for most widow types anywhere in the home. Ideal for conservatories, Multi-Buy Special Offers always available on selected fabrics (T & C’s apply). Why vertical blinds from Rossendale Blinds? Vertical blinds have two controls. One allows the blind louvres to be tilted to the left orthe right. So you can block out the light out, let it in, or filter it by tilting the louvres to an angle. The other one lets you pull the louvres fully back, either to the left or the right; they can even split in the centre like a pair of curtains. As our blinds are made-to-measure just let us know which side you would like each of our controls.Our range provides you with colours, textures and patterns to suit every room and every budget! and you will find plain and simple patterns and textures. Vertical Blinds are excellent value for money Our fantastic range of Vertical blinds is ideal for controlling the amount of light coming into any room. They provide privacy when closed,a clear view of the outside world when the blind is pulled back, and can be used to filter the light when tilted at an angle. Vertical Blinds offer a high degree of privacy and security as they can allow you to see out but people not to see in. 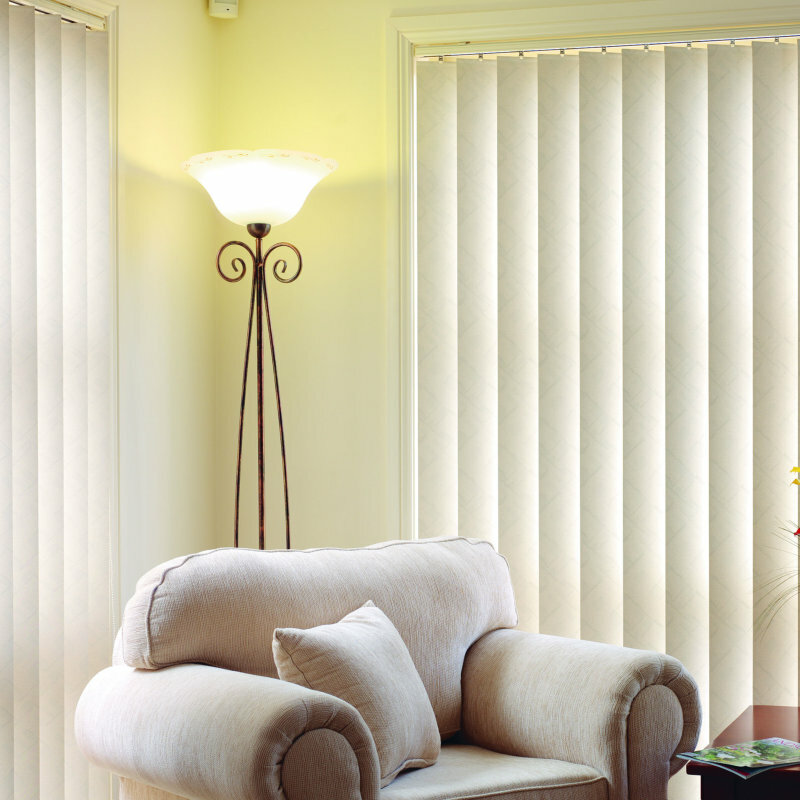 Vertical blinds are best suited to windows or patio doors that are wider than they are tall. Our range of made to measure Vertical blinds come in an array of colours ranging from creams and whites through to pinks/ reds,blues, lilacs, greens, peaches and metallic blind shades. All vertical blinds from Rossendale Blinds are made to measure to any size, meeting your requirements. Remember to ask about our FREE measuring service and great fitting Service.